In my humble opinion - don't bother. The knee pads in question. 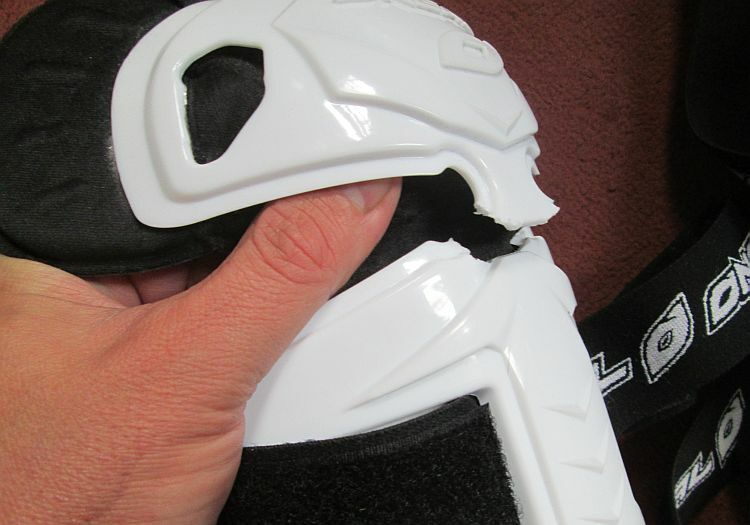 My old, reliable knee pads were fine after 10 years of almost daily use. The only issue was the elastic was getting baggy so I was in the market for a new set. They're not commonly sold in ordinary bike shops, these things are more commonly used by motocross riders not road riders. But as I have one leg shorter than the other the knee pads fitted in motorcycle pants are no good. Anyhow, I think those fitted in regular road rider's pants are not so clever anyhow. J&S did have some, a total selection of 1 at the time of my visit. 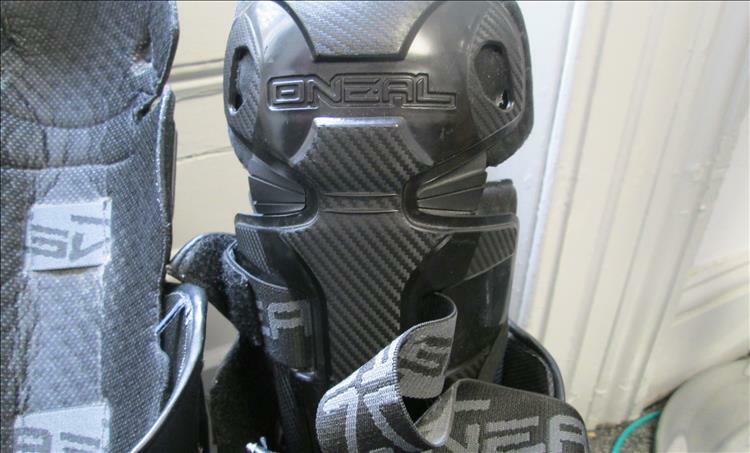 That was the Oneal Pro II Knee Guards. They fitted, they're slim enough to go under my bike pants and they looked fine. And they were. 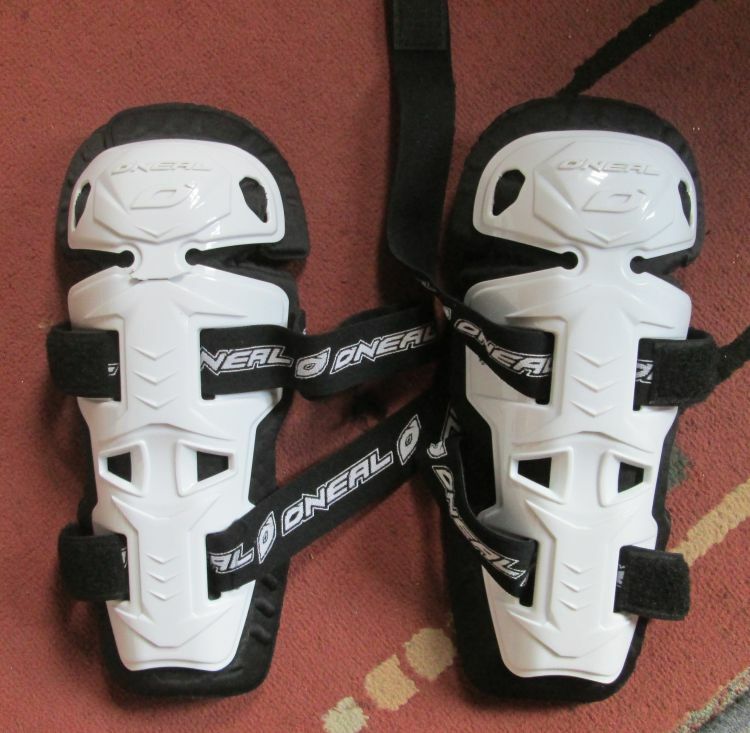 As an item to protect my knees and shins in the event of a tumble they certainly look up to the task. No matter how much you ask though I am not willing to try them out by deliberately binning the bike, I don't get paid enough to do that. I don't get paid at all. I was happy to wear them. Admittedly they made my knees a bit sweaty when it's hot but they all do that. Otherwise using them is no problem. Thing is, they break. The first pair broke at the joint seen in the picture after a good few months. No problem, lets face it I might have got a dodgy one. J&S replaced them with no quibbles and no hassle, I was happy again. Except that this replacement pair has also snapped in the same place. I can accept that once is bad luck...but twice? They're out of warranty now. I'll not be replacing them with a new pair as they obviously have an issue. I've just been looking into the problem online and I think I've sussed it. These, although sold in motorcycle shops like J&S and Ghostbikes, are really mountain bike pads designed to be worn OUTSIDE your pants. Being inside causes the knee part to flex under the material and snap, if they were outside the pants then this wouldn't happen. As mountain bike pads, fine, great! As motorcycle pads worn under your pants? Forget it. What are you using now, what do you recommend? I purchased a set of knee and elbow Kevlar reinforced pads from Hein Gericke who I think may have gone bust. They we £ 49.99 if I remember correctly and were inserts into existing padded clothing. My drystar jacket and frank thomas trousers had suitable slots to fit them. They certainly work for me my arms and elbows were intact after my bump. I would say spend as much as possible on your gear and get the best you can. they certainly saved me from much more serious injury. After this post I went on to use a set of Fox Titan Sport pads. These were fine and they lasted me for about 3 or 4 years (about 60k at a guess). As with the way of these things the elastic on the straps got a bit stretchy. Since then I've had a pair of - ahem... O'Neal Pro II. BUT WAIT! While the model name is the same I can only guess they've realised the problem and improved the materials. The plastic is still plastic but it feels a tiny bit more flexible, more malleable. There's also extra fluting around the point where it broke previously. So far...these have been fine.